WE DESIGN AND DEVELOP MOBILE APPS APPS THAT ARE WORTHY TO REPRESENT YOUR BUSINESS. Have an idea in mind for a business? Make it a reality with HokuApps mobile app solutions. 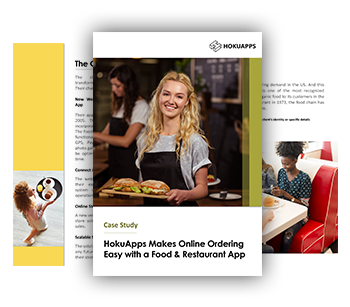 HokuApps will take your idea, refine it and create an app so that your business is accessible to your target audience across all OS platforms and devices. Our apps are created taking into consideration business logic, workflow, scalability, vision, and technology. If your goal is to garner brand-value like never before, our mobile app designers will create pixel-perfect solutions so that your idea is reflected perfectly with the app. The theory behind this is – great quality app leads to great user engagement. Also, great UI/UX simplifies updates and reduces support costs by a huge margin. Our experts carry years of experience and thought leadership abilities that show in our products. No matter the OS platform, HokuApps will create apps that are fully-loaded and cross-platform, i.e., work on iOS, Android and the Web. 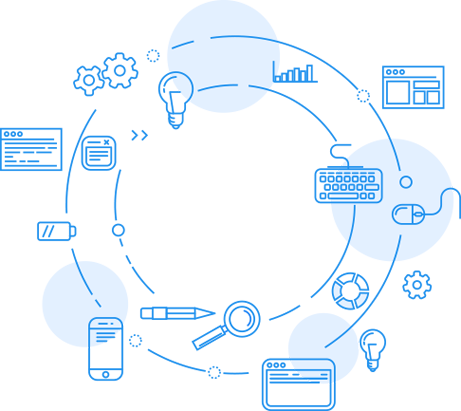 Put your idea to paper and create a blueprint for your business app. This is just the first step, however. But when we come to execution, the game changes significantly and you will see a huge number of hurdles if you look into the mobile app development process. 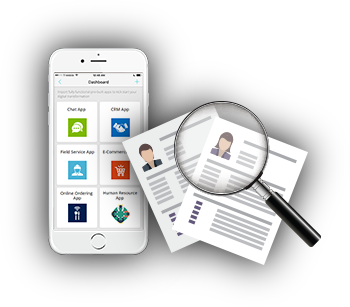 Execute your plans by hiring the best mobile app designers with the fastest growing mobile apps solutions provider. We will audit your business process and make suggestions based on the information. We will give you a clear idea of the viability of your idea, how it might look after its migration to a mobile and give you options on how you can make your app perform better. When customer satisfaction is in the balance, User Interface takes first priority. An idea made into an app cannot be brought to fruition without assistance from cutting-edge technology, user-friendly, and innovative mobile app design. Whether it is an app for iOS, Android or the Web, our mobile app designers will infuse their creativity into the process to bring life into the app. Our designers will integrate your idea and provide you with an enterprise-worthy application. The mobile app development strategy requires viability, patience, and skills. You can find these traits in developers who love their craft. At HokuApps, we instill these characteristics into our employees so that their passion can be reflected in your apps. Doesn’t matter if you hire an Android developer or a developer for iOS, HokuApps’ mobile app developers are instilled with these key character traits. Our process is such that delivered apps are full-featured, with innovative front-end UI and instant back-end system integration. Your business deserves the most secure solutions to keep your app updated at all times. Customers do not have the patience to give apps a second chance. In effect, HokuApps makes sure that your app performs optimally at all levels. Keeping this in minds, our mobile app designers test the app at every stage of the process. The app cannot tend to be heavy on a device’s hardware as this could mean that the app isn’t tested properly. But with HokuApps, your app will be able to perform on all devices, across all platforms. Why Hire HokuApps Mobile App Designers? In today’s world, the mobile app design is synonymous with clarity of thought. 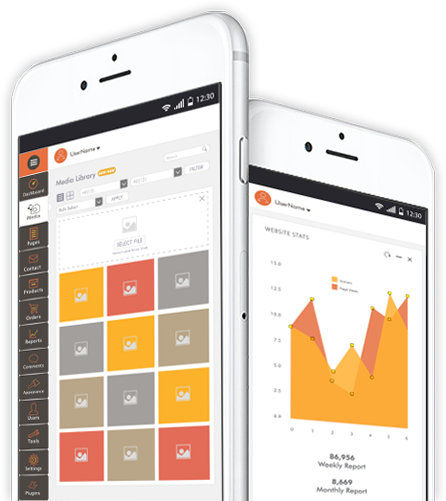 The app design shows how well-versed the company is with the changing demands of the consumer. With HokuApps mobile app solutions, you will be given full access to our expert mobile app designers to produce visually rich apps. Every node is researched and only then is a blueprint made to create a mobile app. Keep in mind that your competitors are also investing in a mobile app strategy. It doesn’t just matter who comes first, but who can provide a full-featured and stable app, quickly. Hence, your app needs to be creative and agile. The app will be able to satisfy both facets of an app – UI and UX. A well-designed app can help boost your customer reach. At HokuApps, we design sensible apps so that your customers can place their trust in your products and services. However, designing mobile app solutions is a challenge to most app designers. 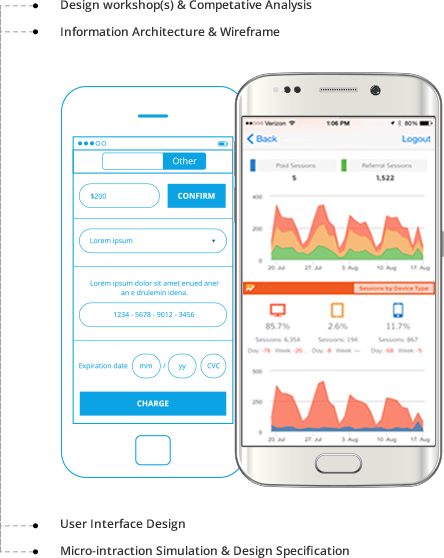 But with the HokuApps Mobile App Development Platform, our designers and developers can create an app that is visually stunning. With ease-of-use and elegant design being the key factors of the app, there is little chance of grievances. Our team of mobile application designers has experience of working on more than 800 projects and boast of a customer satisfaction rate of 92%. Talk to our designers. They will be glad to guide you through the process, discuss the business vision and how to incorporate the same into the app design, visualize your application and deliver the app at 10x speed. We create inspirational experiences on the mobile and web devices. Our products help you create a strong bond between your business and your customers. 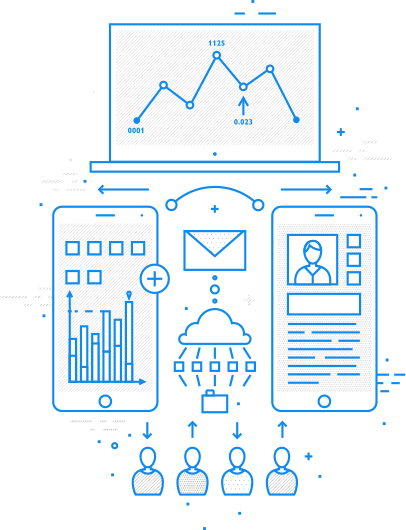 Our mobile application designers will gladly help you through the app development process to single out the design the visual components of the mobile app strategy and the UI/UX that should be reflected in the application.